This is a review of Wicksteed Park, a children’s playground and theme park near Kettering in Northamptonshire. 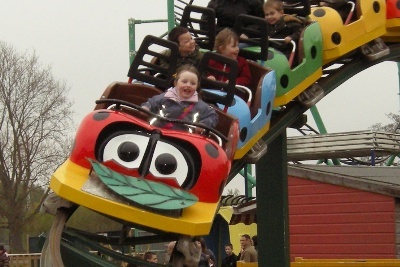 An alternative is Gulliver’s Theme Park (Gulliver’s Land, Gulliver’s Kingdom or Gulliver’s World) or Thomas Land at Drayton Manor Park. The difference between this park and similar theme parks is in the charging model. 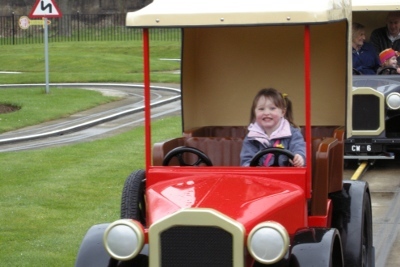 Other parks such as Gulliver’s Theme Parks and Thomasland charge an admission fee on all visitors (above a minimum age or height), which can work out expensive especially if you are taking a grandparent along as we did on this occasion. A further bonus is that the impressive playgrounds and the open air shows (featuring Wicky Bear) are free. Although it’s unlikely you’ll walk past the rides without a child wanting to go on a few. The rides and attractions are split into 3 different areas with a train that circles the park. The train has only one station so if you want to go between the areas then it’s by foot. The distance between the areas isn’t too bad, but for those with pushchairs the paths aren’t always direct which means a large detour or taking the buggy over the grass. This entry was posted on Sunday, April 12th, 2009 and is filed under Babies, Children, Tourism. You can follow any responses to this entry through the RSS 2.0 feed. Both comments and pings are currently closed.